Expressions of positive emotions spread from staff to shoppers and among staff. University of Queensland researchers observed positive and negative feelings displayed by shoppers in retail environments moment-to-moment. Not only did a general emotional tone spread, but if one shopper changed from negative to positive or in the opposite direction, other shoppers tracked along with their own behavioral evidence of emotions. All this, in turn, was found to affect intentions to purchase items at the store and intentions to return to the store for future purchases. 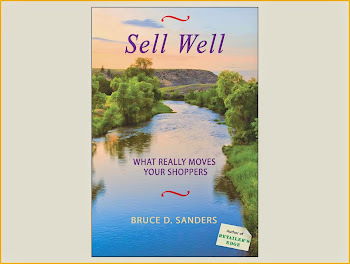 Thus, moving a shopper from being disgruntled to being pleased increases your profitability from that customer and also from other shoppers in the store at the time who observe the interactions. So smile often when facing visitors to your store. And smile often when building teamwork with your employees. Yes, there are retailing situations in which a full-toothed, full minute smile is all wrong: If a customer is distraught, and a smile would make you look uncaring. If you’re delivering corrective discipline to a staff member, and a smile would make what you’re saying seem unimportant. Or when a real big, real prolonged smile threatens to make you look simply dopey. Researchers at Adelphi University, University of Central Florida, Iowa State University, and University of Kansas found after a series of studies that the bigger the salesperson’s smile, the greater the consumer’s impressions of both warmth and incompetence. 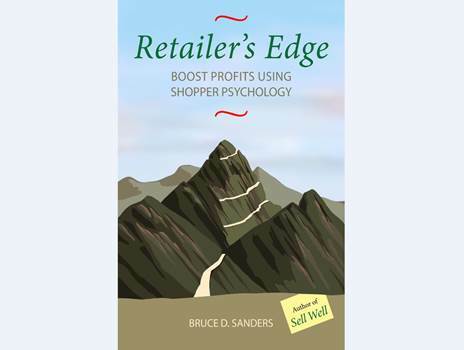 The probability of that second impression, certainly a negative one for retail selling potential, is greater in situations with shoppers who consider the purchase to carry risks and with shoppers who are prevention-focused rather than promotion-focused. Promotion-focused people play to win, while prevention-focused people play not to lose. At the extreme, the promotion-focused think creatively, welcome risks, and plow through issues quickly. At the other end of the dimension, the prevention-focused anticipate problems and so work meticulously to dig into issues rather than plow through them. The upshot: When dealing with a shopper who is nervous about a purchase decision, dwarf those big smiles so you won’t come across as unqualified to give credible advice. The researchers verified that these impressions directly influence a consumer’s willingness to spend money and time with you. Yet always have in mind the depth of the smile’s power. Evolutionary psychologists say we are all genetically programmed to interpret a genuine smile as a desire to build a friendly relationship.